Yesterday was incredible. 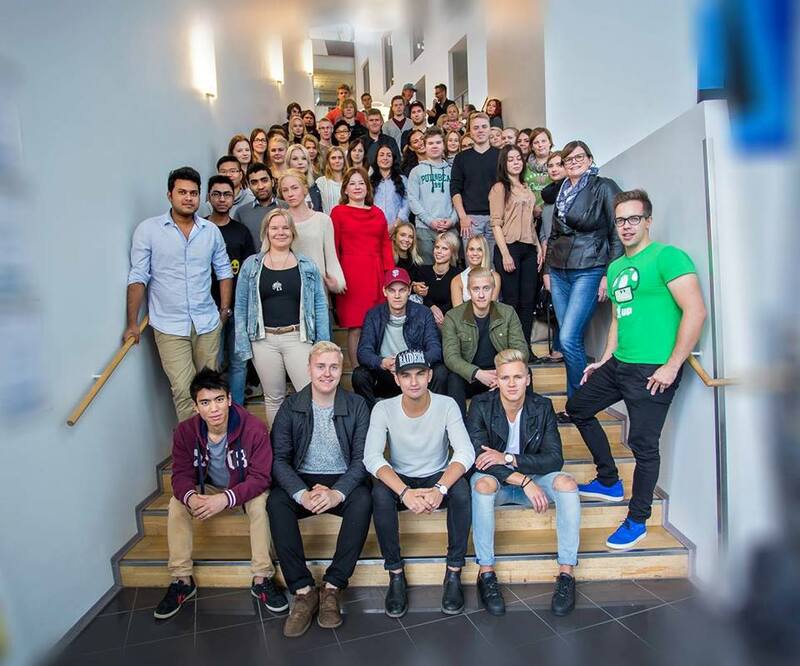 We finished Digital Business –study module with 70 students at Laurea. The studies were intertwined closely with real-life business. I wanted to share my thoughts and tell you a little about the impact, as I believe that we made some dreams come true. We had 70 skilled students in this course. Based on a feedback survey we collected some statistics for you. Also, my great colleague Anna Ikonen wrote a nice detailed blog about the project from her point of view. Feelings from the Final Ceremony Periscope broadcast 10.12.2015. Photo by Timo Helosuo. We, together with the students, have tried to constantly create something new (work life integration, periscope streaming, online exams, new learning platforms, etc.). It has not always been easy and there has been some inevitable set backs, but I believe that obstacles and failures are to be learned from. We wanted to be flexible, eager to go forward, and always aim for the next level. I am very proud of our students. We have tried our best to become pioneers of digital age education. We have been deeply passionated about this and I believe we have made history together. I will never forget this. We made dreams to become reality. But this is not the end, rather the first step. We have some amazing plans in our pockets for the next semester and I will definitely let you know about them. Until next time, thanks to everyone who was involved, and have a relaxing Christmas time. Please enjoy some videos by our magnificent students! 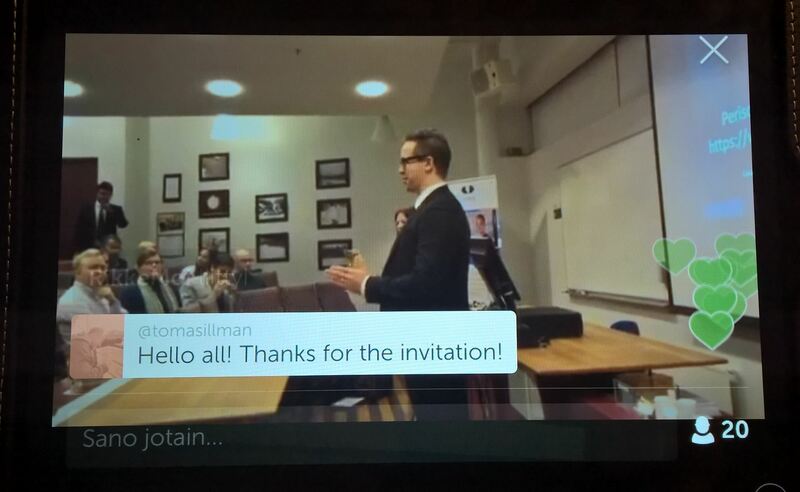 This entry was posted in Yleinen on 11/12/2015 by Ilkka Kurkela.